The cloud and mobile are two technological shifts that organizations now have to contend with. 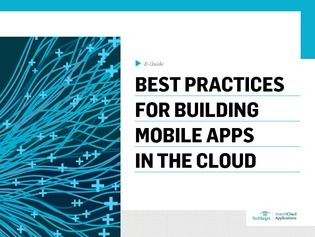 However, building synergy between cloud and mobile may be easier than you think. In this 3-part expert e-guide, learn how mobile cloud and native apps compare from the developer’s perspective. You’ll also explore ways to overcome the problem of developing mobile apps that run across many devices, and how HTML5 can provide a less complex and costly alternative.